looks like ordinary links to me. Or does it only effect the sender? enter a link.. the text will turn to red. emails. Is this so hard for 500000 ppl to understand ? I am really shocked at the brubbish talk i have copped from this. The PoC, is easy as hell to reproduce. I am shocked a team, cannot do it..
you continue to type like one. previous one. According to you, this *vulnerability* *has existed for years*. To many IF&apos;s, do some research, instead of flaming. I've been having some issues with ettercap-gtk; i installed the most recent versions to get rid of the lock-up issue while scanning, but when i try to arp poison two targets sometimes it will freeze, lock up my internet connectivity, and other weird crap. chk_spoof also never detects any working arp poisoning. Anyone else have similar problems or suggestions? yes, VERY hard to expalin, id LOVE to see you try. please, dont get confused or make accusations. First of all let me tell you i am new to installing a os, normally i run them in an virtual environment but now i have to bring BT with me with a tumbdrive. I know i probably should search but since my isp is having some problems my network is extremely slow and it would take me longer time to go through all the search results than to post the question here. If you need my specs i will get them later, i dont have my notebook with me right now. Ohh and admins, if i have posted this in the wrong section feel free to move it, anyways Thanks for the help! Sorry but I don&apos;t understand anything to this thread. with the risk that it is not deserving it. Please clarify and give consistent technical facts. This code is not what shows up when it is dissected. It shows up with many x41 all over the email when it is done properly . something he obv does NOT understand. Thankyou for anyone who actually have looked into it alittle. How this helps in sending spam is beyond me. to make use of/understand it. kind of website eh ? you know little, but say much. Very foolish operson. regarding that ryan1918.com post... that is doctored. It is now, over 1yr old atleast and exists in riched20.dll. This PoC info is over for me also. As Adam said, I&apos;ll actually read this when it&apos;s been properly analysed. If it actually does exist, eventually someone will explain it more formally. Until that time, the discussion ends here for me. I guess we&apos;re right back to being idiotic. half-assed crap you think you just dug up? Just dug up ?? I doubt it.. more like, new to the list. And finally, how does Thunderbird, Outlook relate to Gmail? programs load up and now it&apos;s all about an RTF editing dll? and, so true... i am actually in hysterics when i saw this. not) what you think you&apos;ve found? written format, English or not. wow... you even care for me :) how nice. What has a country got todo, with the Poc.. i still dont know..
in say, thunderbird , outlook...as i said.. RICHED***.DLL :) have fun. Why don&apos;t you go spam another list? There&apos;s funsec if you want to. As well as IRC. Loads of your friends there. Kemm tista tkun iblah. Ja iblah. When the English version becomes available, please let me know. So I managed to install pyrit with CUDA support and configured MySQL DB. Now I want to "import_password" to DB, as you know it takes a lot of time to generate, so I'm taking it careful. I made old computer "The big DB storage" to store all hashes. I'm afraid of wordlists saved as windows txt file format. Quote: I spend the next month or so with a couple CPU's cranking away on the data, generating 1000 SSID's worth of hash tables from a 172,000 word dictionary. Towards the end I decided to test the hash files and get some metrics on how fast they computed. I setup a workstation to talk to a WPA-PSK AP with a passphrase that was known to be in the dictionary and captured the nessecary hash. I launched the attack with the coWPAtty 3.0 beta's and it was'nt finding the key. Eventually with Joshua Wrights help we dicovered where I'd screwed up. The password list had been saved in windows txt file format, leaving a hidden return character at the end of each line. This return character was being hashed in as part of the password giving me all wrong results! Simply cos of that, all hashes were generated in wrong way. So...what format it should be, coded, utf-8, ansi ? Also wordlist goes wrong if I save it as Unicode. ansi, iso, utf-8, 0Ah, DAh, windows format, hiden return bla bla bla...jesus christ. PS: Sry for grama, not my native. Sorry for the edit here... just adding some contact infos.. I tried associating with a totally different client as opposed to my VM host just to make sure there wasn't something going on between the VM and host that was messing with things but no luck. when i got it right then is -i my file which i want to encode, -e which encoder i wanna use, -c x describes how many times -x describes what other process will be spawned and -o is just the output file. iam aware of the fact that .exe files can be currpted at the encoding process, but when iam using -c 1 it seems to be broken. when i copy the output file which is 1x encoded with shikata to my windows lab computer, i get the message " Program to big to fit in memory ". then i thought ok, we dont bind, just encode, same result -> " Program to big to fit in memory ". ps: the myfile.exe is a self written tool, its very robust..normaly. nature of the vulnerability - the disclosure could have been a lot worse. "Is this how it works in all social sites ?" length, bruteforcing it is sometimes even possible. apply it in his browses session to hijack the target&apos;s user session. I am wonder if anybody has successfully enabled 3d acceleration for BT5 GNOME in VMware workstation 7.1.4. I installed vm tools from vmware, (and ticked enable 3d acceleration of course), but it didn't work, glxgears show it uses mesa drivers. 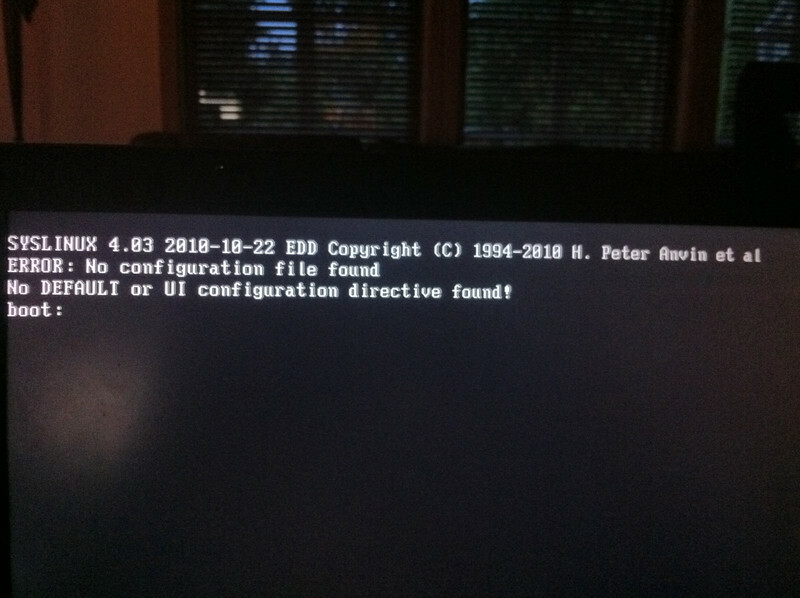 I heard that some ubuntu lucid users had problems with this, however any solution I tried didn't work, also installing open-vm-tools didn't work, and adding new repositories and upgrading them broke my installation. Any ideas? I also tried tampering with xorg and forcing it to use vmware driver but it reverts back to mesa. Oh and xorg logs show that vmware supports 800x600 at most which should not be true. I'm pretty new to Linux in general, but I have played with BT4 while back. So, I am trying to get BT5 on my new Macbook Pro (13in i5) but the resolution is very small. It wont get higher then 800x600 currently. Could someone help out a noob? I found the link to form through this forum. Absolutely loved that last reply, Andrew. came here, to ask where you should go to report vulnerabilities to Facebook? Nah, report it here, bleach the hat later. Right here, simply reply to this e-mail. Does anyone know where I can report vulnerabilities in Facebook ? the commissioning of exploits through msfconsole with autopwn (importing nmap or nessus), is really working? I never created any session. Assuming I did everything correctly. Anyone have w3af running in BT5 ?? Was fine in BT4. Searched the threads only found oldhe info. Tried the remove and reinstall steps. Any one get this up yet ?? I am trying to make a menu item for starting NeXpose. this works from the cli but doesn't start from the menu. I recall with BT4 - there was more options in the menu like open in console, run as, ect.. Now i have the Gnome menu. Any ideas how to create a menu with the above to Nexpose >?? 95% of holes, only 5% know how to exploit the last 5% of holes. So, you&apos;re both (kinda) right. know, those running virtually all malware these days)..
After launching the script it asks me for my network adapter, then asks me which URL I want to DNS spoof. It then edits the etter.dns with the given URL and your current network IP address. It then launches the Social Engineering Toolkit using the "set-automate" option to clone the URL. It then asks which IP addresses you want to ARP poison (or just poison the whole network), next it launches ettercap with the dns_spoof plugin enabled. Now anyone on the network that tries to access the URL is redirected to the S.E.T page and their details are logged. The script then gives you a "notify-send" pop-up to alert you that it has captured login details then emails those details to your email address, finally the script finds the PID's for ettercap and SET and kills them, restoring the network to normal. I find this handy for an unattended credentials harvester. I take no credit for use of SET and ettercap, this is just an automated script to launch a credential harvester.